What are the benefits of using the 185 over the 200 grain lswc? I currently use 200 grain lswc from KINGSHOOTER over 4 gn BE with Starline brass and Winchester primers. I also sort my bullets and seat twitch a fingernail of shoulder. I have a Colt gold cup that has been accurized. It was also fitted with a barrel by Ed brown. When I sandbag this load I am getting 4" at 25yds. Seems like I should have a tighter group. Any suggestions? Any 185 shooter's feel they are more accurate? Dr.Don wrote: Anytime you have questions about whether poor group tests are the gun or the ammo, drop back and test the gun using a jacketed bullet load with widely apparent good results. The ASYM National Match 185 JHP is hands-down the best-performing .45 ammo I have found. It has shot knotholes out of every wad gun I've tried it in. Well if your convinced its not the gun, then I would discard all current component's except the primers and find a new lot of powder, a different bullet and different brass, load and re-test. I was able to get to the range again today. 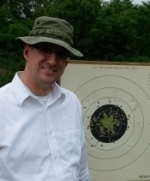 I focused heavily on my benchrest technique this time. I let the sandbag stabalize the pistol, rather than stabalizing my hand. I used the same loads and all the components were from the same lot and loaded at the same time as my first test. My five shot strings averaged .8". My smallest was .5" and my largest was 1". So I guess it was mainly my sandbag technique. I wonder what that would translate to at 50 yards? Now that I know the gun can shoot I need to work on ME!! On a side note, the Missouri projectiles came today. I'm still anxious to try them out. After all of the reading I did I feel as though I will get better results from the softer lead. Thanks to all for all your help! I tried to upload pics. Does this forum still use ftpsites for upload? To host a photo, just click the icon that looks like a picture with a floppy disk on it--on my screen its above the reply text box 4th from the right. A popup window comes up. Click browse and find and select the photo in your computer. In the popup box a button appears that says "host it"--click that. a new popup shows up with 3 links on it. Copy and paste the middle link into the reply text button. DONE! 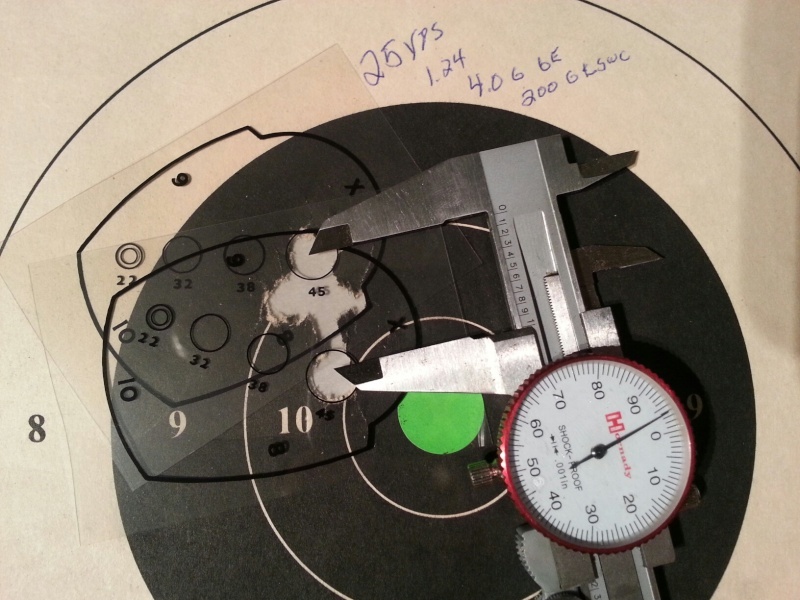 Sounds like your ready, as for soft or hardness, ive never found a good 200 lswc that didn't shoot great. Now if you shoot real soft loads like 3.5 of bullseye then a soft bullet should seal better but at 3.9 and up it doesn't matter imo. There! Now quit worrying about the gun and the ammo and shoot master! That's what I do!